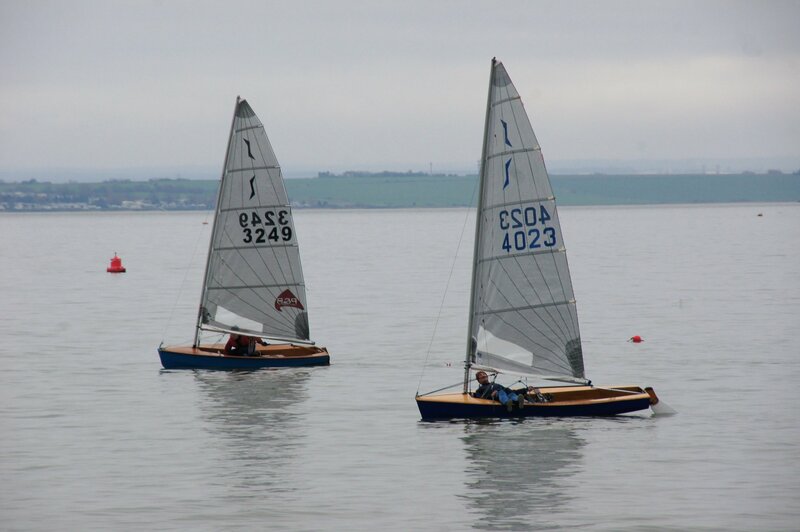 The 2018 Leigh-on-Sea Sailing Club Brass Monkey race took place on Boxing Day as is the tradition. The trophy with its three brass monkeys had at some time unfortunately lost the engraved plaque with the winner’s names which extended back to 1966. By searching through club records most of the names could be found but a few were still missing. The National Maritime Museum Cornwall was approached and the volunteers there searched through their archive of “Yachts and Yachting” magazines and thankfully were able to fill in most of the remaining spaces. The club happily now has an historical record that includes world champions and Olympians. 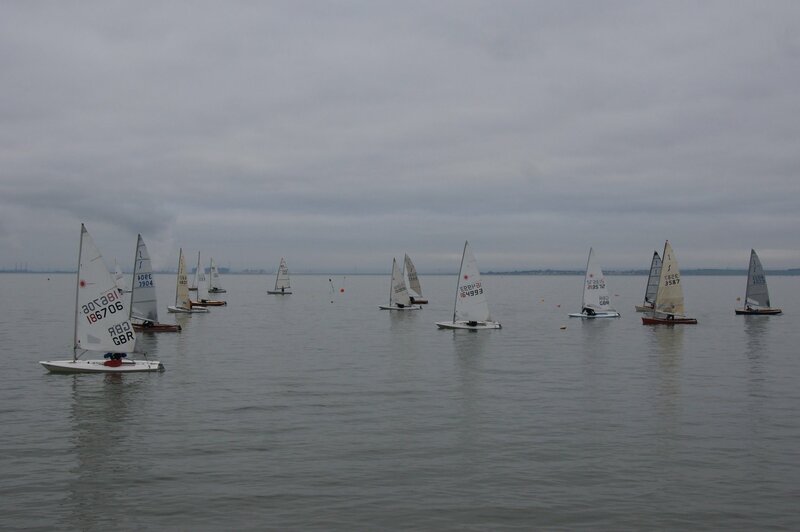 The 2018 race attracted 21 boats, 12 from the home club and 10 visitors made the trip to Leigh for the Boxing Day race, unfortunately the wind didn’t get the message that the racers wanted it to blow. 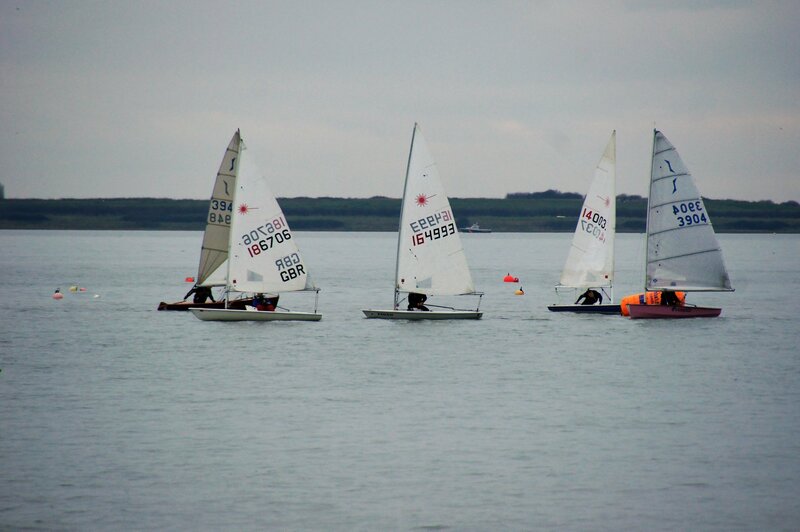 Some of the fleet managed to find a little wind or rock and rolled their way to the start line, some paddled and others were towed by the support boats. 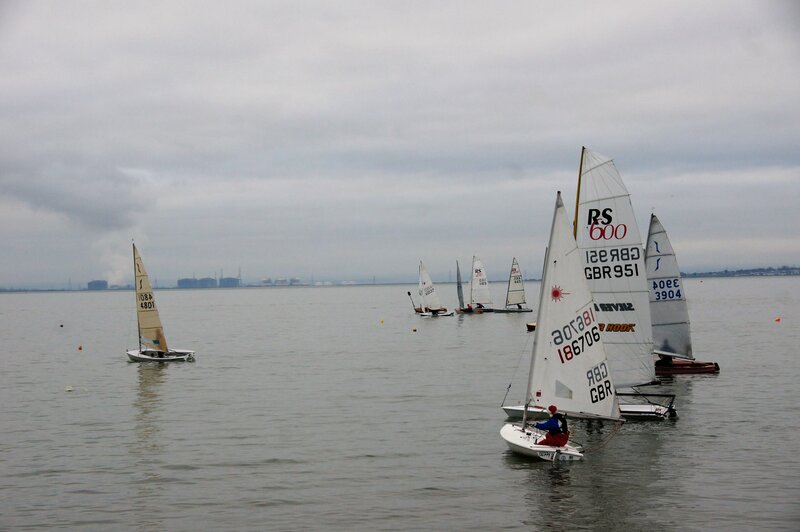 The RO set a tight course and set the fleet away with a 20-minute delay on the planned start time. 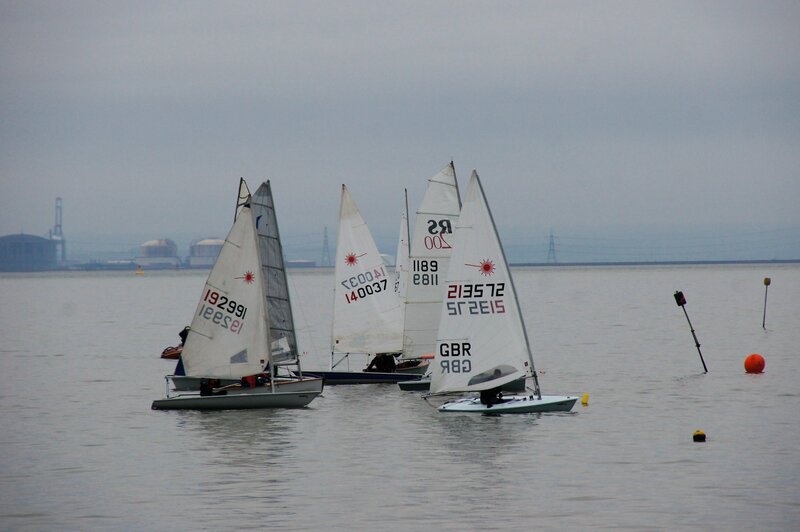 With the little wind there was most of the fleet struggled to get moving on the reach towards the first mark. 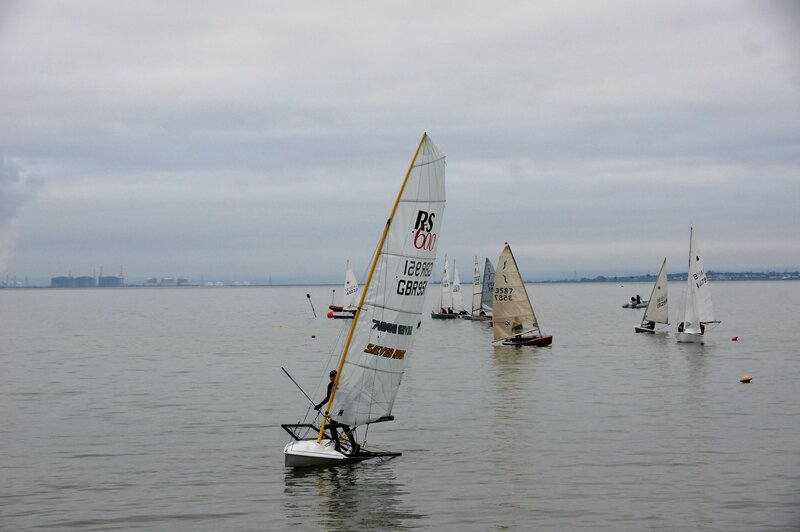 The race was led by Mike Izatt in his RS600 showing that even in less than 5 knots of wind the RS600 could sail quickly!! Once on the beat to mark 2 Mike Izatt extended his lead followed by G Clark in a Solo, D Renell in an RS Vario and Charlie Baynes in another Solo. The places remained unchanged to the finish of the race which at times saw the fleet come to a complete stop when the light breeze died completely leave rafts of boats on different tacks or gybes drifting on the tide. 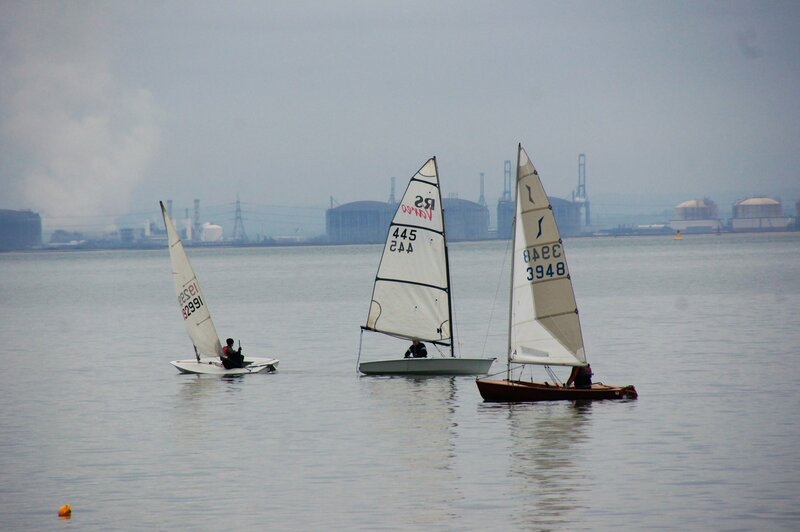 Four boats retired finding the conditions too frustrating, but the remainder all manged to complete 2 laps of the course. 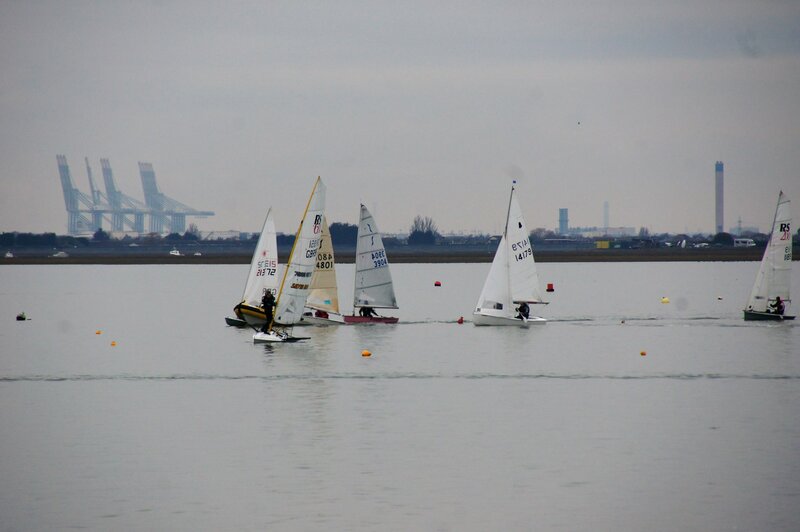 Racing at Leigh on Sea now takes a Winter break until the start of the Spring Series on Saturday 6th April 2019. 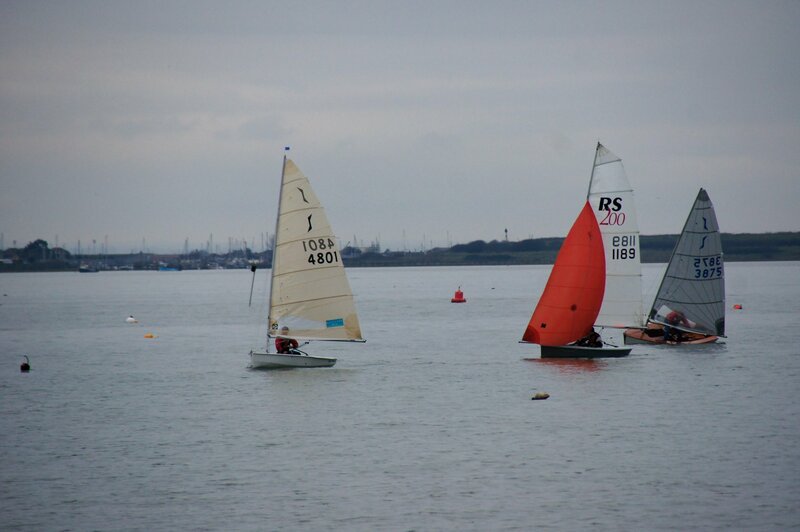 The next Brass-Monkey Trophy Race will be on Boxing Day (26th Dec) 2019 with a start at 11:15 – hoping for more wind next year. 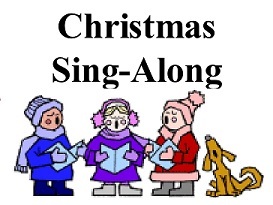 Christmas sing-a-long in the lower saloon around the fire with live music accompaniment. All welcome and free entry. Get your Christmas started. Apparently there will be mulled wine and mince pies on offer. Please arrive at 19:30 and get yourself settled for an 8:00 start to an evening of entertainment that’s simply irresistible fun. The bar will be open before, during and after. Please enter before the day using the online entry form or on the day. The children's Christmas party will be from 2:30 to 5pm on 15th December 2018 at the clubhouse. The afternoon will start with magician and entertainer “Marko Sparko”, who will begin his show at 3 p.m. This will be followed by some party food for the children and we hope that Santa will make an appearance to hand out presents! If possible could parents with attending children please contribute by bringing some food for the afternoon buffet meal (sandwiches, crisps, sausage rolls etc. or something more exotic!). Hope to see lots of you there!. Ian Johnson MBE, a past member of LSC, passed away recently after suffering heart failure. Ian was Group Scout Leader of the 3rd Chalkwell Bay Sea Scouts and well known to many of our club members. It has suggested that we run another racing rules session. Last year we used "mock protests" as examples of both racing incidents and the protest process. If anyone has had anything suitable, could they write it up on a protest form and send to me? Alternatively, perhaps our rule observance is now perfect..... If there are no incidents, perhaps something on rule 42? The EYC have invited members of the LSC to a craft fair on the Wilton on Saturday. It starts at noon and there will be tea, cake, toasties and a bar. Please come along and bring friends.